After War service he became a machinist and later supervisor at Bellhouse Hartwell Ltd in Daisy Hill, Westhoughton. Represented East Ward from 1965. 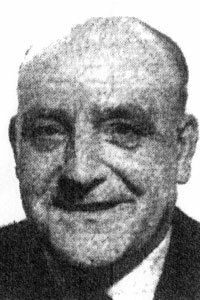 Committee member of Westhoughton Conservative Club and Chairman 1961-65. Member of the Divisional Executive of North West Conservative Association.